GoPro announced today that its sales for the fourth quarter of 2015 were lower than expected even with an overall $435 million in revenue. 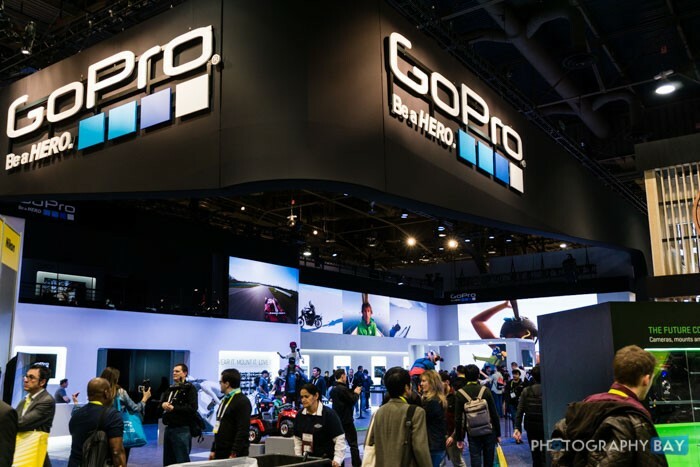 GoPro noted that the lower revenue also reflects a $21 million reduction in price protection related charges due to dropping the HERO4 Session down to $199. Lots of folks were scratching their heads when the HERO4 Session launched and I think we can all agree now that it was not positioned in the right spot from the start and is really having a tough time gaining the traction GoPro had hoped. For its part, GoPro has readily admitted to launching the HERO4 Session at the wrong time (in July) and the wrong price $399. GoPro will also undergo a restructuring process in the first quarter that will result in a roughly 7% reduction in its workforce, which currently consists of more than 1,500 employees. GoPro’s stock was trading at around $18.50 when CES started and has been dropping ever since. It’s trading at $14.60 at the end of trading today. On the flip side, GoPro has a new desktop app that it showed at CES 2016 and should be coming soon. Also, the HERO4 Silver has been a major win – with solid sales during the holiday 2015 season. I own one myself and it has been my favorite GoPro to date. GoPro simply has to make more cameras (may all of them) with a built-in LCD. Additionally, GoPro’s Karma drone should be coming soon as well (official release of the Karma is slated for the first half of 2016), which is going to shake up the drone world when it hits. 2016 is going to be a very interesting and important year for GoPro. If GoPro can execute on the opportunities around drones and VR imaging, it could make huge strides as a company and branch out from its action camera roots that have become some what stale over the past 18 months. If GoPro misses on opportunities around these new imaging sectors, there are plenty of other up and coming companies that are ready to step in and take market share away from GoPro’s grasp. Looking forward to the Karma… could be a savior for gopro, if priced correctly.